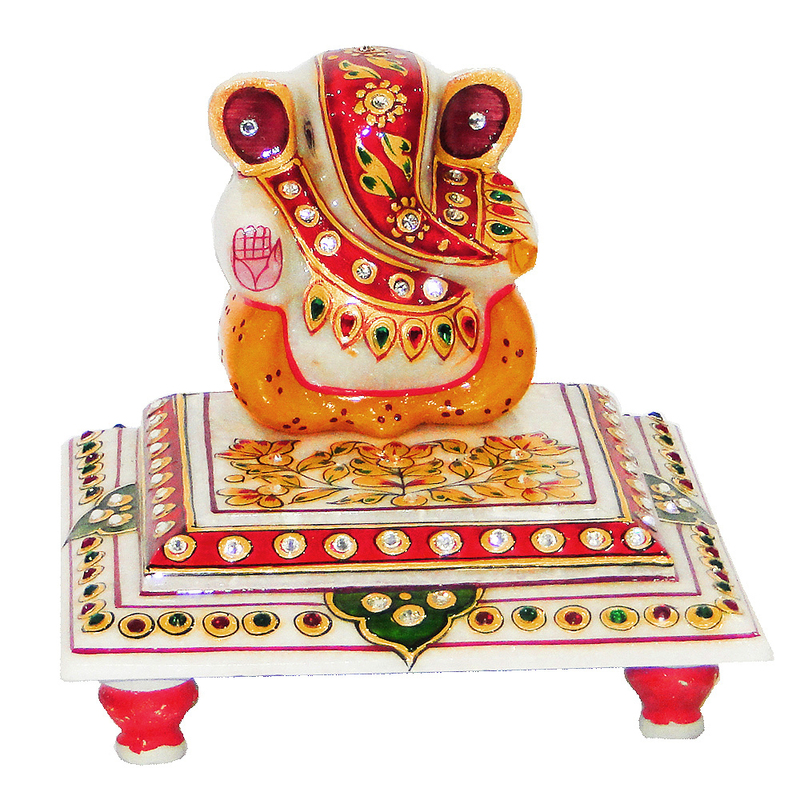 This is an elegantly decorated ganesh idol sitting on a decorated chowki. The item has been carved out entirely from marble. Apart from being a Read More..harbinger of prosperity this item will also add to the décor of your home. This can be a perfect gift to your near and dear ones on the auspicious occasion of diwali when people pray for good luck and prosperity. You should get one for your own house too. Show Less..